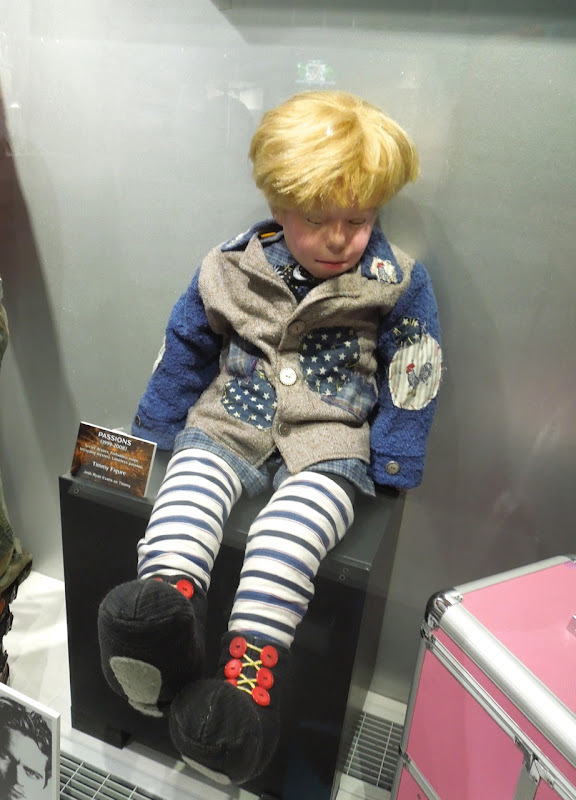 Cult favourite Passions was a daytime American soap that ran from 1999 to 2008, following the romantic and supernatural lives of the residents of the quaint New England town of Harmony, including the ancient witch 'Tabitha Lennox'. 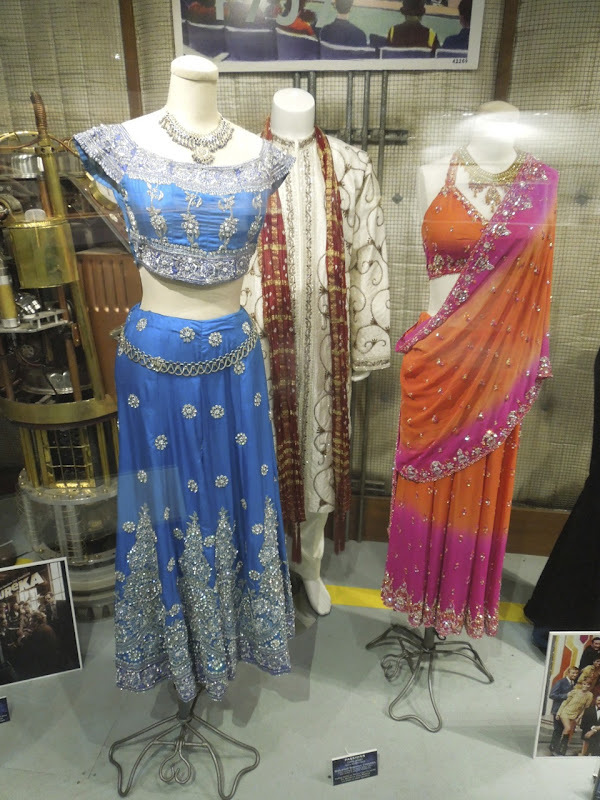 Flashbacks and fantasy dream sequences were just some of the storytelling techniques used in the paranormal influenced soap opera, and these Bollywood themed costumes were part of a 2006 dream sequence that won a Daytime Emmy for Outstanding Original Song with 'Love is Ecstasy'. 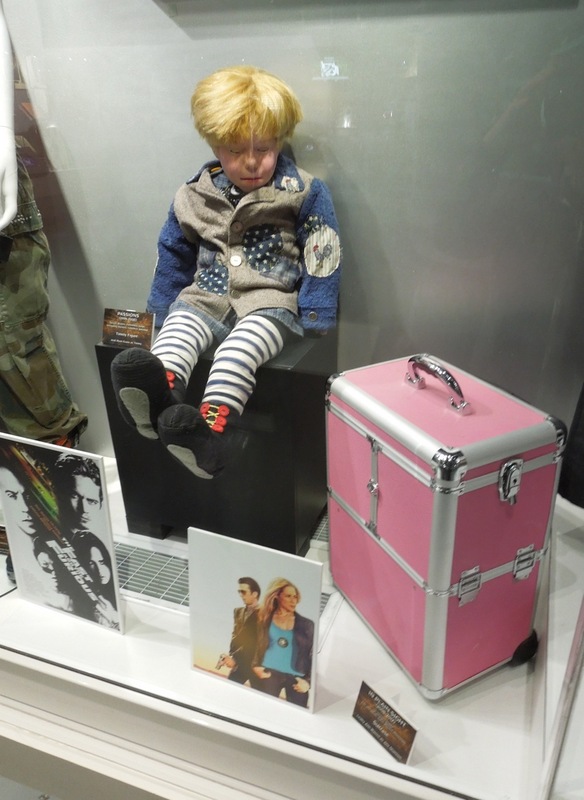 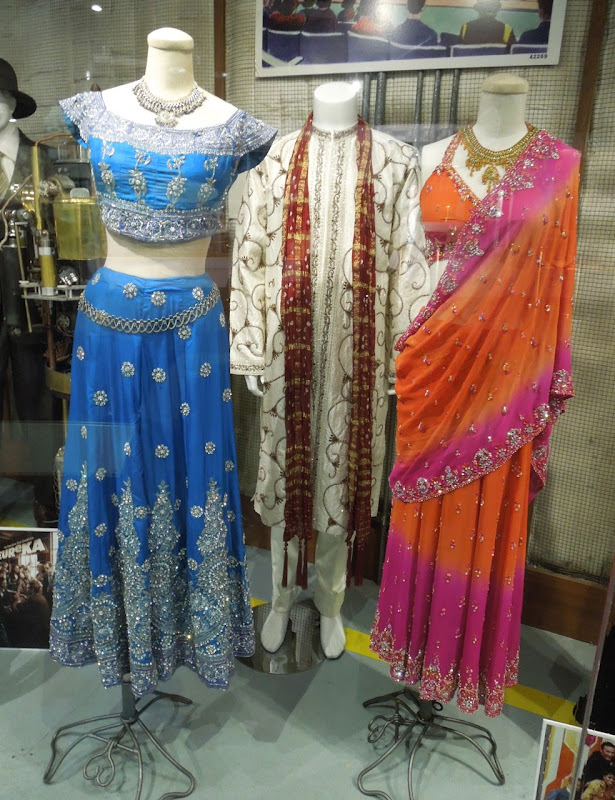 These colourful Indian saris and kurta outfit were photographed on display at the NBC Universal Experience exhibit at Universal Studios Hollywood on February 7, 2013 alongside this boy doll of 'Timmy Lenox' from the show. 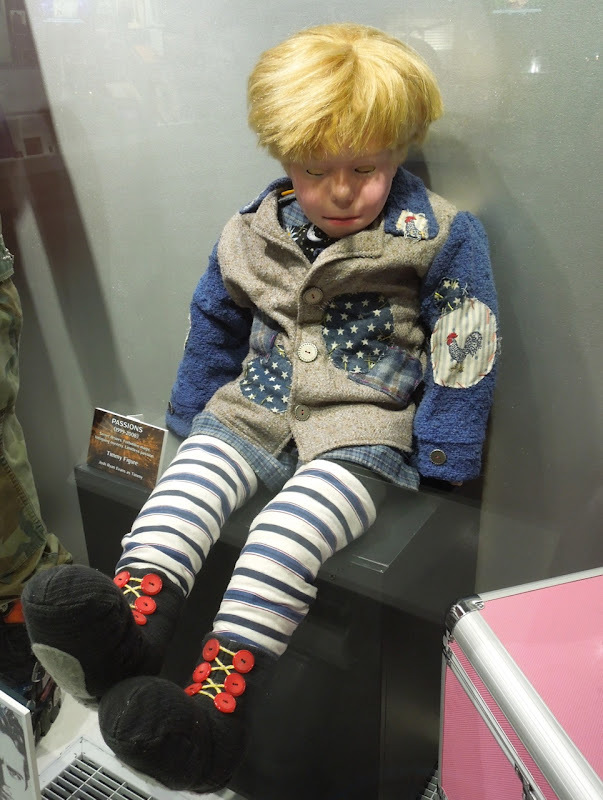 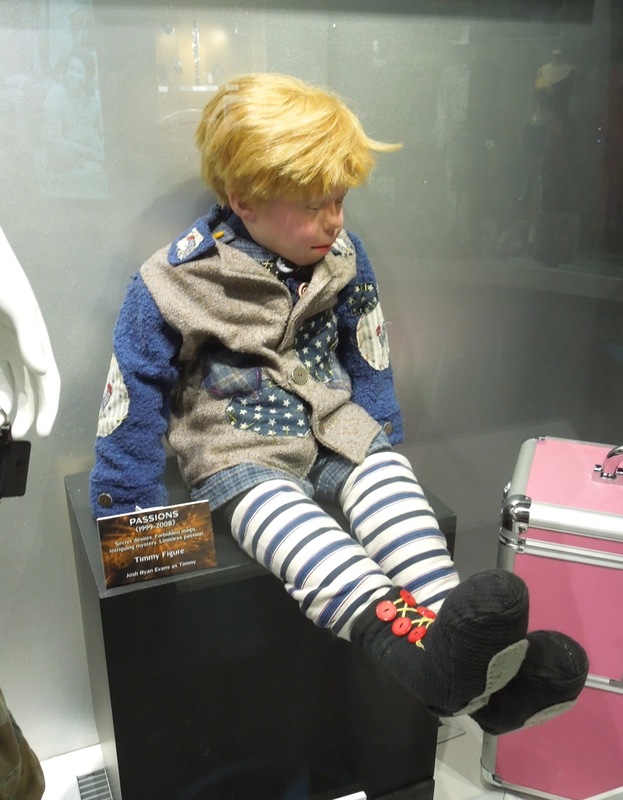 Timmy was an inanimate doll brought to life by the town's witch Tabitha Lenox to be her sidekick in her evil scheming and was played in the flesh by Josh Ryan Evans. 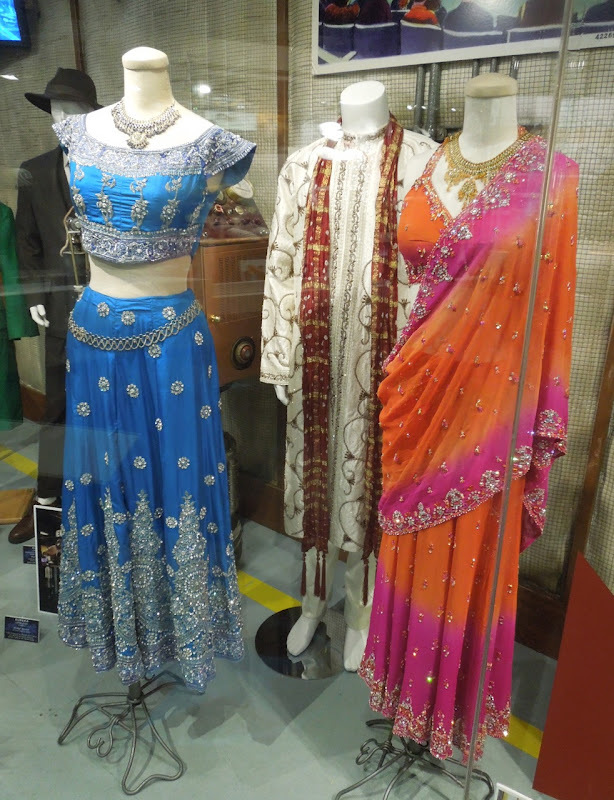 If you like the Bollywood tribute costumes, you may also like to check out these original movie costumes from The Best Exotic Marigold Hotel, which is set in India.